1. The Art of Doing Nothing: Just relax with cold cerveza and enjoy the sunset! 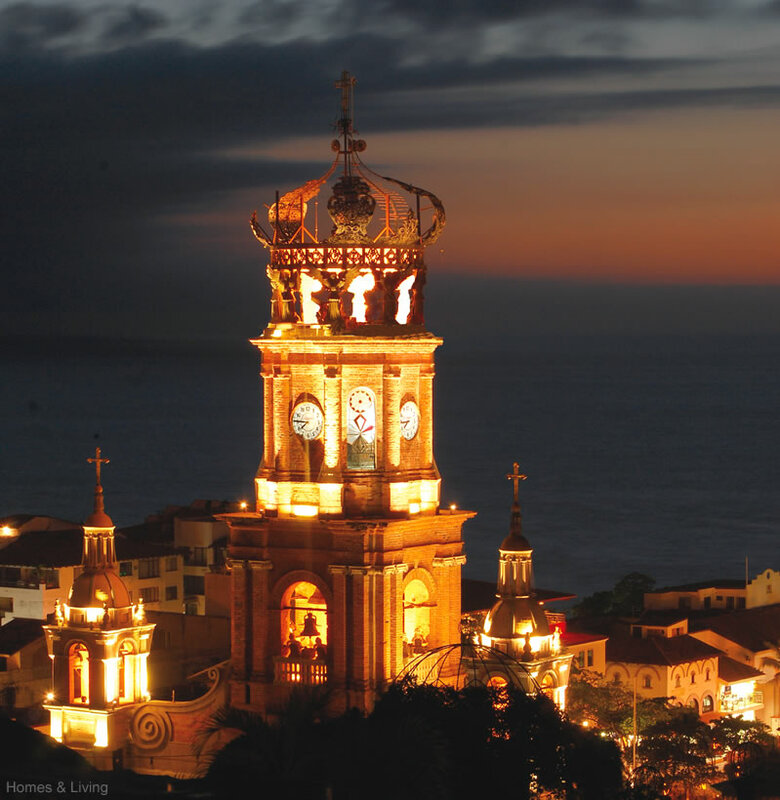 Puerto Vallarta is full of places to do this, but our go-to spot is El Solar. 2. 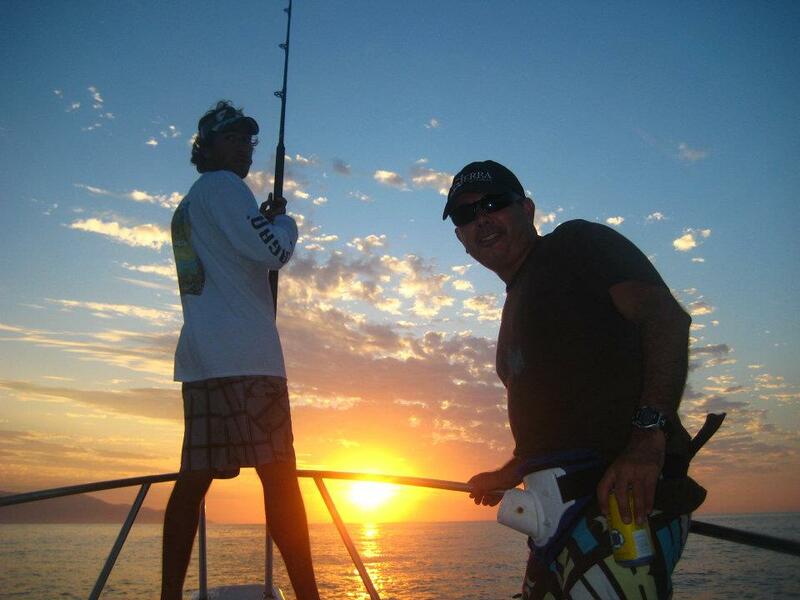 Deep-sea Fishing: Puerto Vallarta’s Banderas Bay is a world-renowned destination for deep-sea fishing enthusiast. If you’re looking for an exciting Puerto Vallarta activity with a tasty payoff, check out Fishing Rebels. 3. Beach Hike: The hour hike from Boca to Las Animas beach lets you burn off those famous Puerto Vallarta tacos and provides breathtaking views. 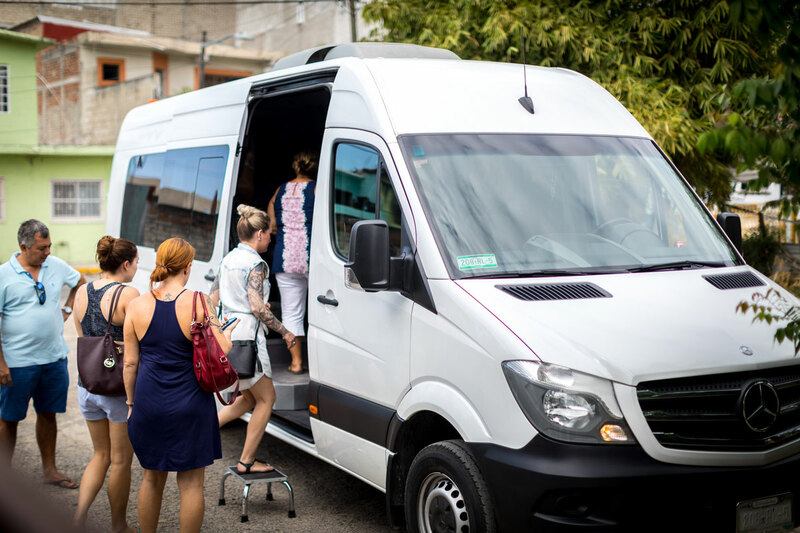 Stretch out the day with a stop for pictures and a cocktail (or two) at the Casitas Maraikas. 4. 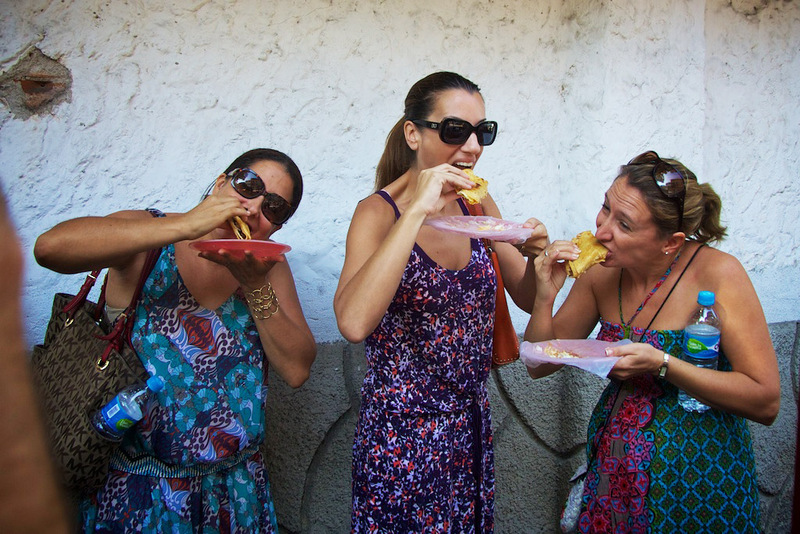 Take a Food Tour with Vallarta Food Tours! 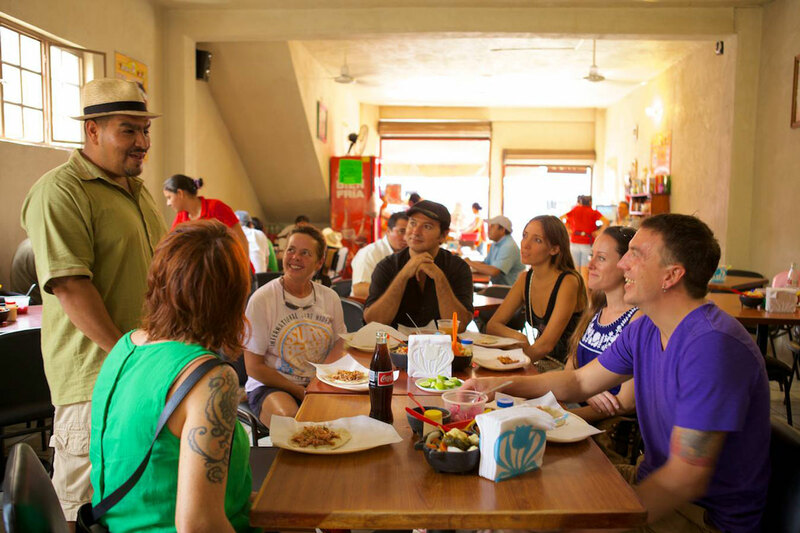 Get acquainted with the local food scene on a 3-hour food tour. 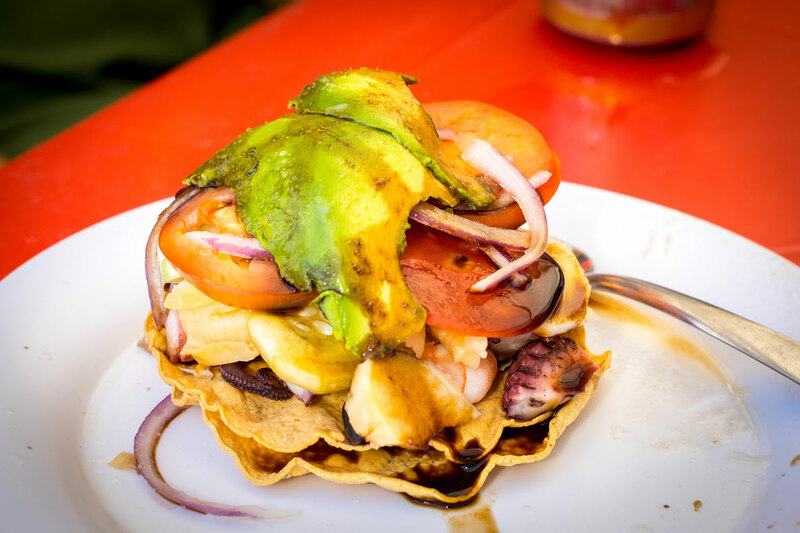 From tacos to sweets, this Puerto Vallarta walking tour lets you sample an array of the city’s edible delights. 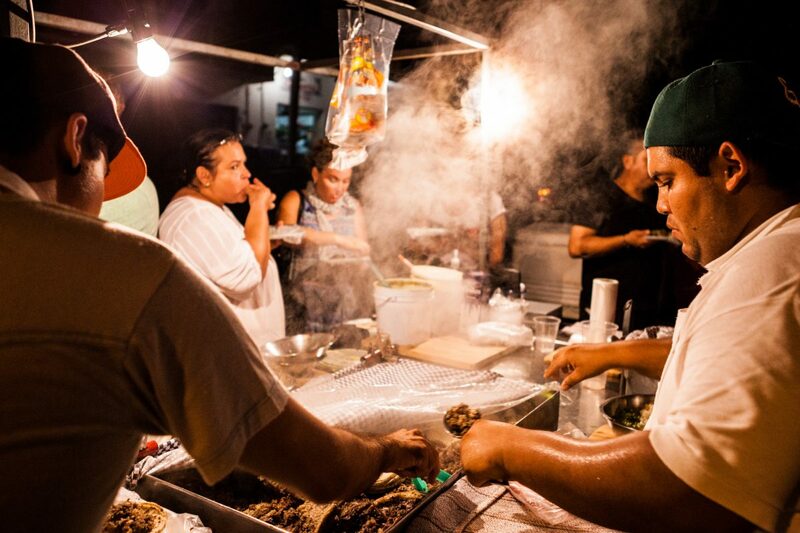 Choose from: Downtown, Pitillal, or our Evening Taco Tour! Book it here. 5. 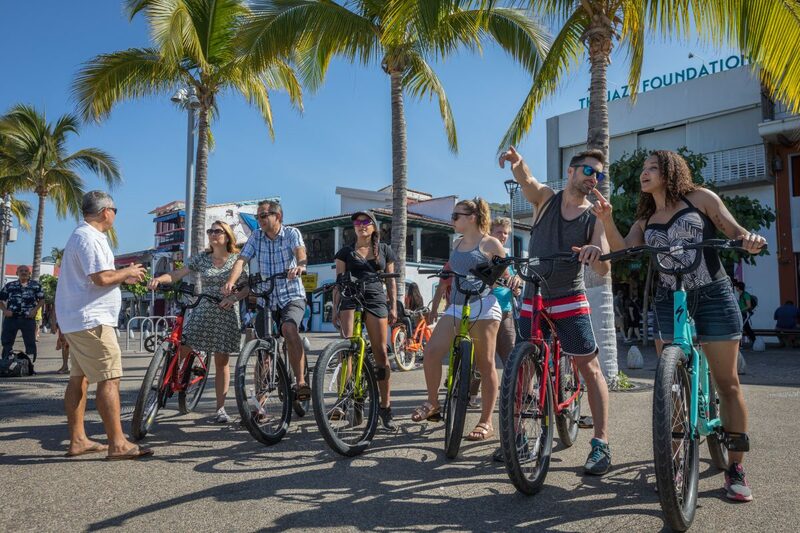 Stroll El Malecón: An iconic Puerto Vallarta activity, a trip to El Malecón is a must! Get some fresh air, catch a sunset and people watch. Don´t miss the Voladores (pole flyers!) that put on quite a show in the afternoon. 6. Head to Old Town: Stroll around and do some shopping in the boutique stores of Basilio Badillo and when it gets too hot, stop for a margarita at La Palapa in front of the Muertos Pier. Look for the love door for a great photo! 7. 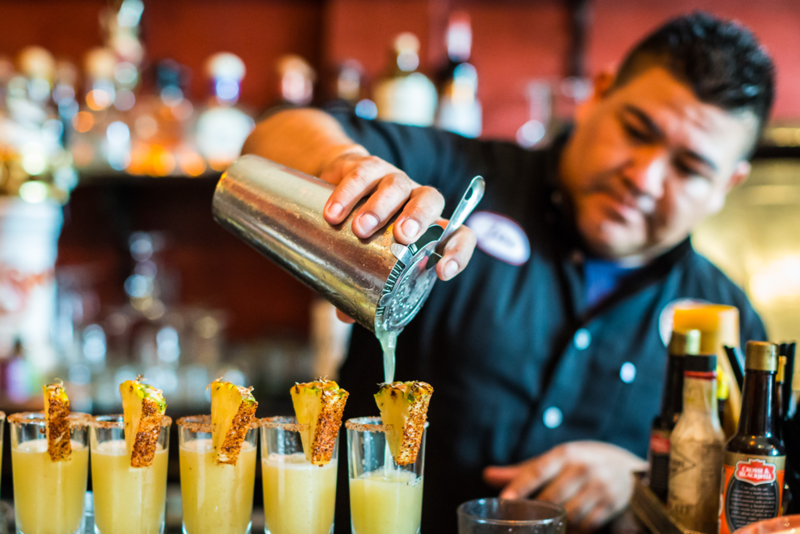 Mex-ology Tour: This 3-hour walking tour gets to the spirit of the Mexican cocktail! 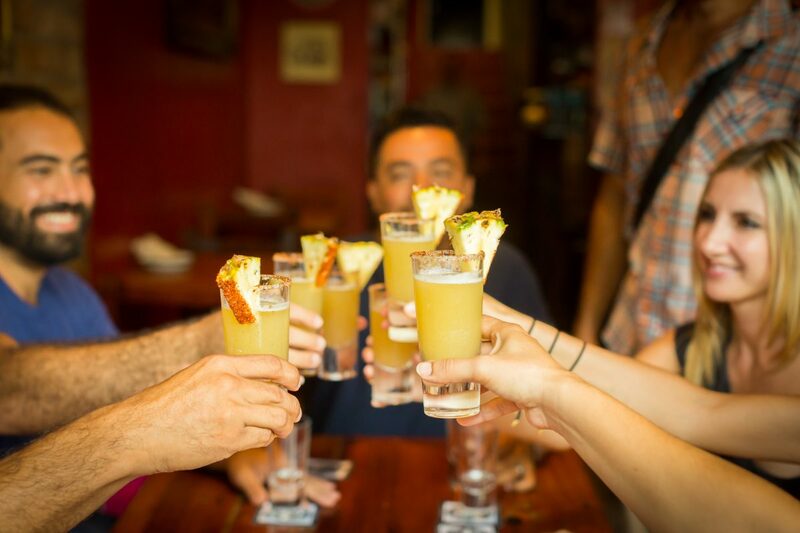 You’ll sip Mezcal, Tequila, Kahlua, Raicilla and Mexico´s signature beer cocktail – the Michelada! 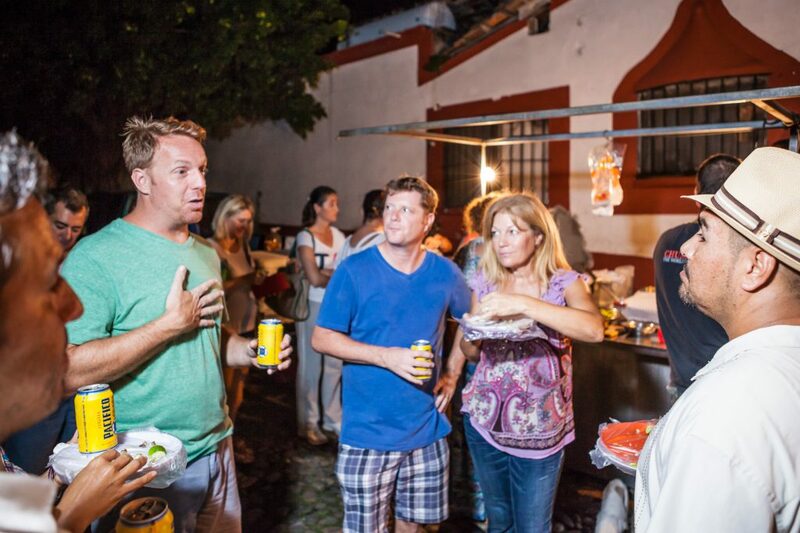 Of course, it’s all paired with some of Puerto Vallarta’s best tacos. Book here. 8. Whale Watching: From December to March, Humpback whales migrate to Banderas Bay to give birth to their baby calves. Watching these gentle giants leap out of the water and crash back into the sea is one of the most spectacular shows Mother Nature has to offer. 9. 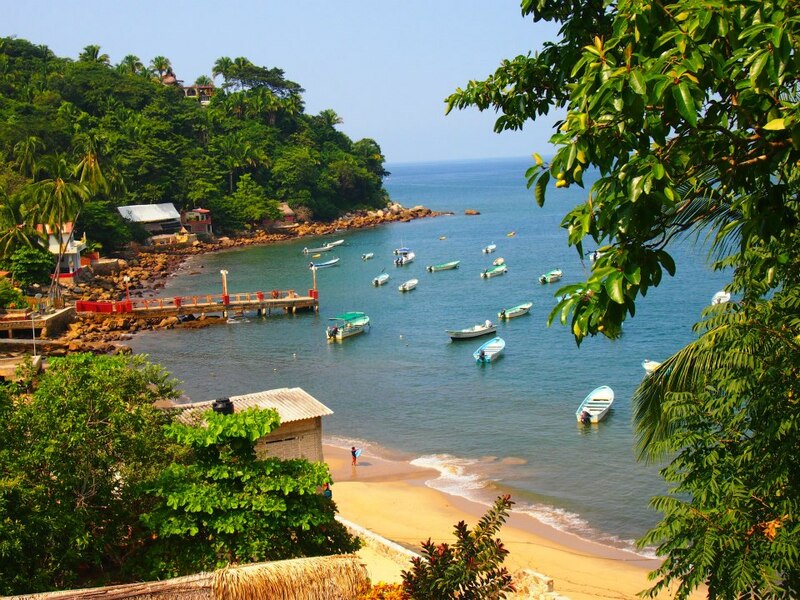 View the Bay from the Water: Take a water taxi to the beaches of Yelapa, Animas, Quimito, our favorite stop being Casitas Maraikas for beach and drinks. 10. Salsa Dancing: Salsa dancing makes for a fun night out with friends! 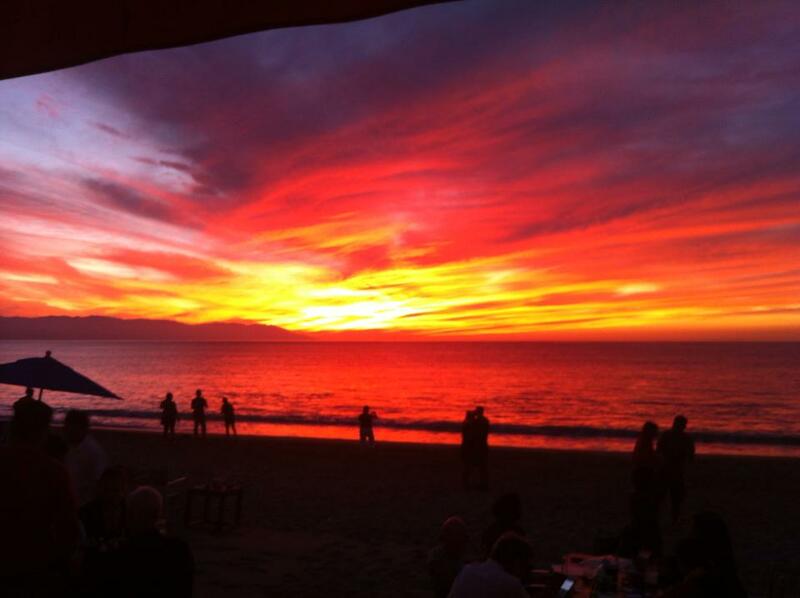 The best places to get down in Puerto Vallarta are La Bodeguita del Medio and J&B Dance Club.